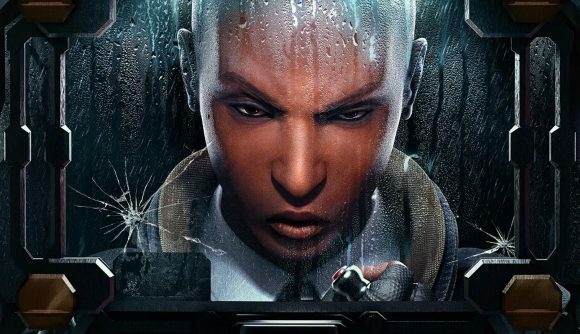 August 13, 2018 Rainbow Six Siege’s newest defender, Clash, has been officially revealed. Thanks to a new teaser trailer, we’ve had a pretty good look at the defensive operator that will be added to Rainbow Six Siege in Grim Sky, also known as year three, season three. She’s named Clash, hails from London’s Metropolitan Police, and apparently carries a shield that’s able to electrocute enemies, like a taser. More properly, that’s the CCE – or Crowd Control Electro – Shield, which is built for crowd control. That’s a particular point of emphasis for Clash, since she made her name on the front lines of the 2011 London Riots. You can get more of that sweet lore in the official announcement, but the trailer shows some more practical details about her gadget. Clash’s shield unfolds in stages to amply cover her entire body, at which point it shoots forks of electricity, seemingly in a forward arc. Clash herself doesn’t seem to wear much armour, so the shield’s size and shocking abilities might be offset by limited protection elsewhere. Clash is also stationary throughout the trailer, so it’s possible she’ll be immobile when deploying the shield. If doing so takes much time, she’ll need a fair bit of foresight to use effectively. There’s a chance her shield may also be destructible, since it appears to be made of plexiglass. You can see that trailer below, but if Ubisoft’s region locks get you down there’s an alternate upload here. The reveal trailer was originally posted by Siege’s Dutch Facebook page before being taken down – though now it seems all the announcements are back on the official schedule. Clash’s attacking counterpart is described as “an American attacker, a specialist with a remarkably sharp mind when it comes to tactical operations. He has seen the worst in Kabul. Despite it all, he fell in love with the city. Legendary for his surgical precision, he remains an enigma within Rainbow Six.” He carries a blowtorch, as can be seen in the tease last week. The Operation: Grim Sky release date will most likely fall on or around September 4 – hit that link for our reasoning, and for everything else we know so far about the coming season. From the look of these two ops, it may be one of Siege’s biggest shake-ups for a while.